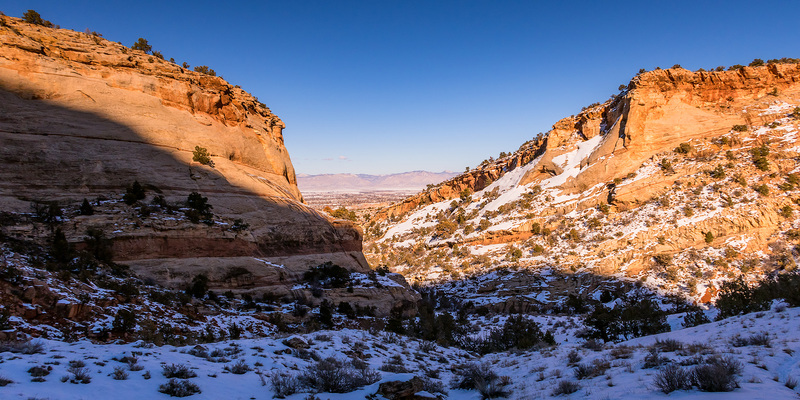 After spending Saturday exploring the San Rafael Reef by myself, Diane and I went on a short hike at the western edge of the Colorado National Monument on Sunday afternoon into Kodels Canyon. 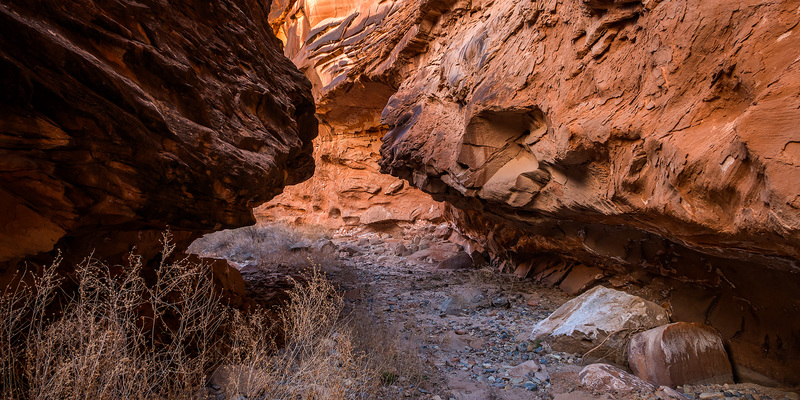 It has been a few years since I last hiked into Kodels Canyon and Diane had never been here before, so we were looking forward to checking it out. 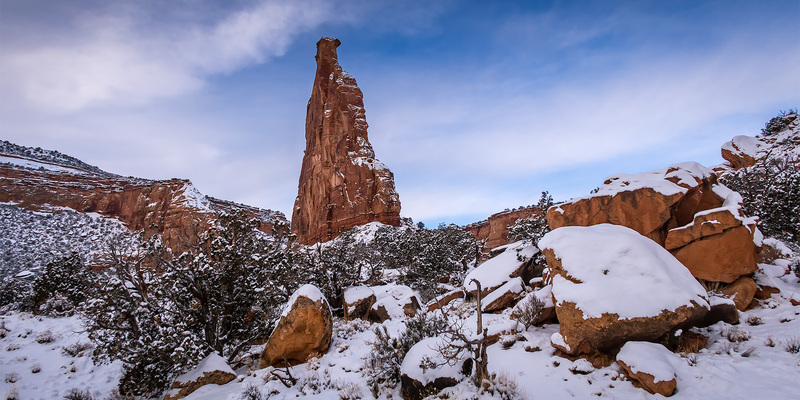 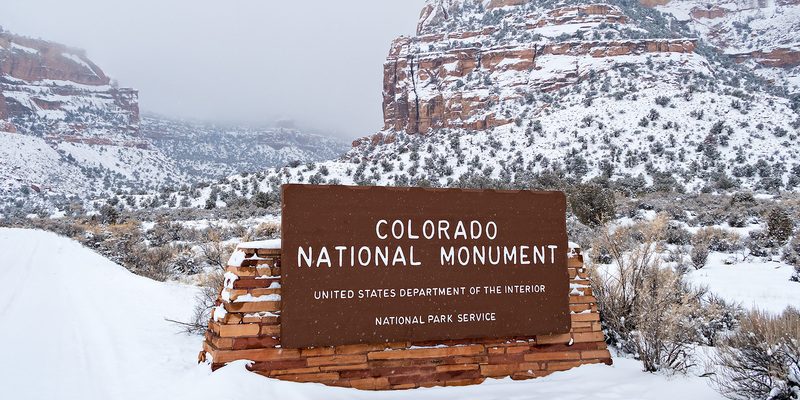 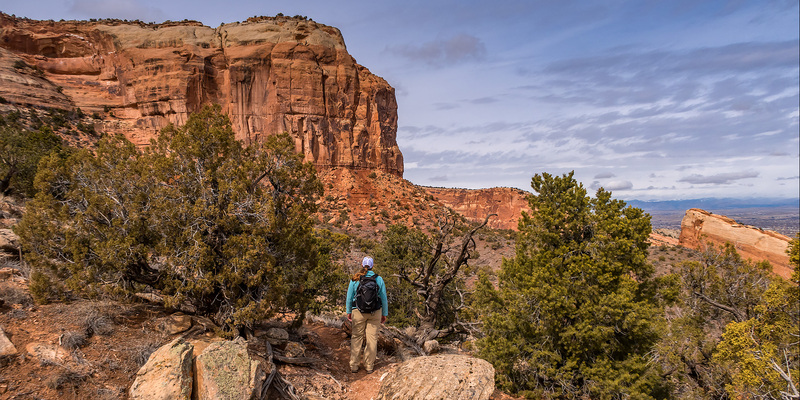 Our hike started on the well-used and snow-packed trails of the McInnis Canyons National Conservation Area, but as soon as we entered the Monument there had not been as much traffic and we were breaking trail through the snow in some places.